Inductive Loads, also called Lagging Loads or Inductive Load Banks or Inductive Reactive Loads or Power Factor Loads, are AC loads that are predominantly inductive in nature so that the alternating current lags behind the alternating voltage when the current flows into the load. Any devices or equipment that have coils in them are inductive in nature. Examples of inductive load are motors, solenoids, contactor coils, compressors, speakers, relays, transformers, inductors, power generators, etc. Inductive load banks design and built by CWS are used primarily to simulate the above equipment to test other components such as AC Power supplies, switches and relays that connect to the them. CWS specializes in the custom designs of Inductive loads for various applications. Power Factor (PF) is defined as the cosine of angle between the inductive portion (jwl) and the resistive portion (Rs) of a coil. This angle is also called Phase Angle. In real world, Power Factor is the ratio of real power over the available power from a AC system. Real Power (in KW) is the available power to do the work, and Available Power (in KVA) is the total delivered power. The difference between Real Power and Available Power is the Reactive Power. Reactive Power (in KVAR) is the power needed to generate the magnetic fields in the inductive equipment No useful work is performed by KVAR. Custom inductive loads are designed for 50 Hz, 60 Hz, 400 Hz, 1 KHz and up to 200 KHz of frequency. 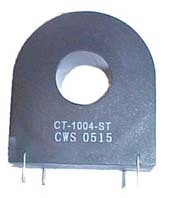 CWS custom inductive loads are supplied with or without the required resistor banks to achieve the desired Power Factor.